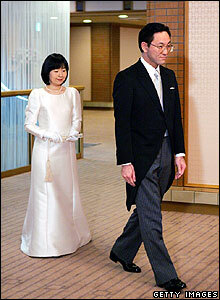 Japan's Princess Sayako has married a commoner, which meant she had to take formal leave of Japan's royal family. 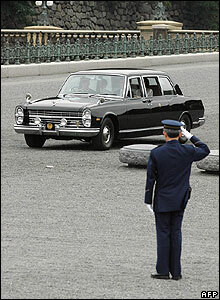 ... receiving a final salute en route. 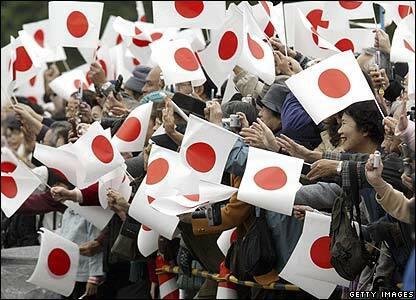 Onlookers waved Japanese flags in honour of the rare event. 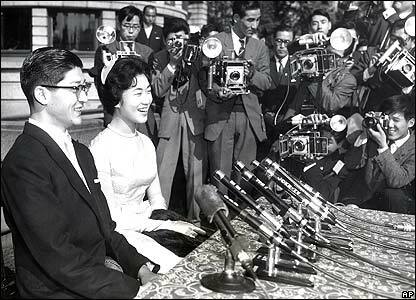 She wore a Western-style white wedding gown for the event - held at the Imperial Hotel. 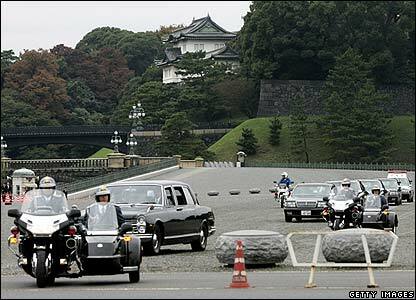 Her father and mother, Emperor Akihito and Empress Michiko, arrived before the bride and groom. 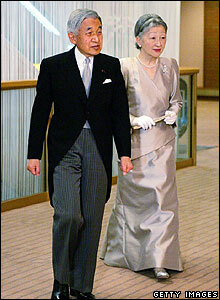 The princess has known the groom, bureaucrat Yoshiki Kuroda, since childhood. 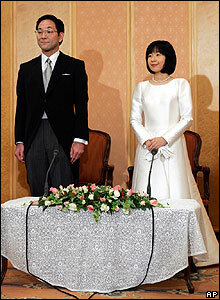 They are now known simply as Mr and Mrs Kuroda. 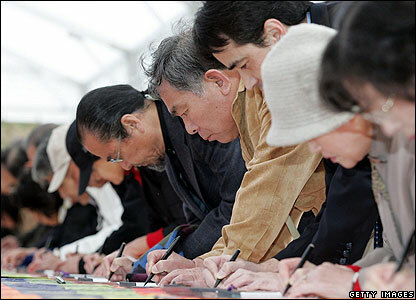 Well-wishers signed visitors' books in honour of the wedding. 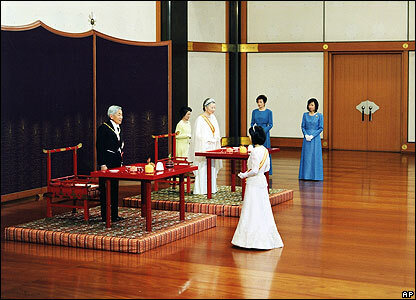 The wedding marked the first time a Japanese princess had given up her status to marry a commoner since 1960. The couple begin married life with a $1.2m state dowry - and a vow from the groom to make a "quiet life" for his wife.